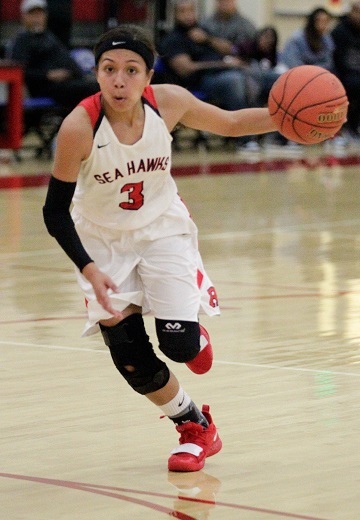 Posting an impressive 23-3 record and winning its fifth consecutive Bay League title, Redondo’s girls basketball team finds itself in a new situation heading into the postseason. 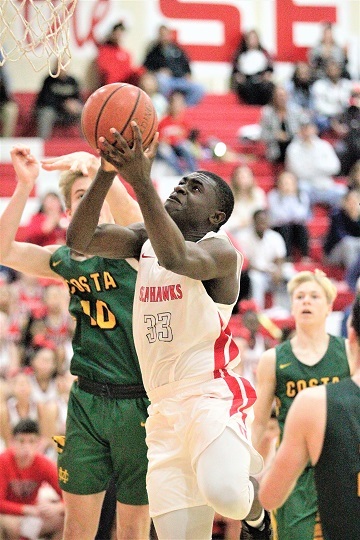 After winning the CIF Southern Section Division 2AA and State Division 2 titles last season, the Sea Hawks have moved up into the elite Open Division which will have a new format for the playoffs this season. There will be two pools of four teams each. Fifth-seeded Redondo and fourth-seeded Bishop Montgomery (21-5) are in Pool A and will face each other with the Knights being the home team in the opening round on Saturday. The teams will then play No. 1 Sierra Canyon and No. 8 Troy. Games will be held Wednesday and Saturday, Feb. 16. The teams posting the best record (or winning the tie breaker) in each Pool will play each other for the championship on Saturday, Feb. 23 at Cal Baptist University in Riverside. In Division 1, Serra (16-8) is the top seed and will host Sonora in the first round on Thursday. Pioneer League champion West Torrance (21-6) hosts JW North in the first round. Second-round games are slated for Saturday followed by the quarterfinals on Wednesday, semifinals on Friday, Feb. 15 and the finals on Saturday, Feb. 23. Games are scheduled for 7 p.m. starts. In Division 2AA, Rolling Hills Prep (20-3) is the No. 1 seed and earned a first-round bye. North Torrance (21-6) is seeded second and will host Oaks Christian on Thursday. Leuzinger (19-9) travels to take on La Canada. In Division 2A, Mira Costa (17-10) plays at Arroyo Valley while Palos Verdes (18-10) travels to Lancaster. In Division 3AA, South Torrance (15-11) hosts Carter while Ocean League co-champion El Segundo (19-8) hosts Sage Hill in the Division 3A opening round. Prep League runner-up Chadwick (14-4) hosts CAMS on Thursday. After winning its seventh straight Bay League title, Redondo’s boys basketball team earned a first-round bye in Division 1 and will travel to take on third-seeded Harvard-Westlake on Tuesday. Serra (11-17) will be on the road for an opening round game at No. 4 Loyola. The first two rounds are slated for Friday and Tuesday. Quarterfinals are slated for Thursday, Feb. 14, semis on Saturday, Feb. 16 and the finals on Saturday, Feb. 23. The exception is the Open Division where Bishop Montgomery (22-4) is seeded eighth and will face Rancho Christian (No. 1), Rancho Verde (No. 4) and Etiwanda (No. 5) in Pool A. In Division 2A, Peninsula (17-11) hosts Bishop Amat and West Torrance (19-9) takes on visiting Culver City in the first round on Friday. In Division 3AA, top-seeded Rolling Hills Prep (20-6) hosts Price while Torrance (14-14) travels to third-seeded La Habra. Bay League runner-up Palos Verdes (22-4) is seeded No. 2 in Division 3A and will host Westminster. Lawndale (15-12) travels to face No. 3 Capistrano Valley Christian. In Division 5A, Vistamar (19-3) earned the No. 3 seed and will host Victory Valley Christian on Friday.